Break Apart model consists of 3 pieces, each piece is only 4 feet long for easy transportation in smaller vehicles. Button stops lock the width at 8 feet, 9 feet, and 10 feet wide. 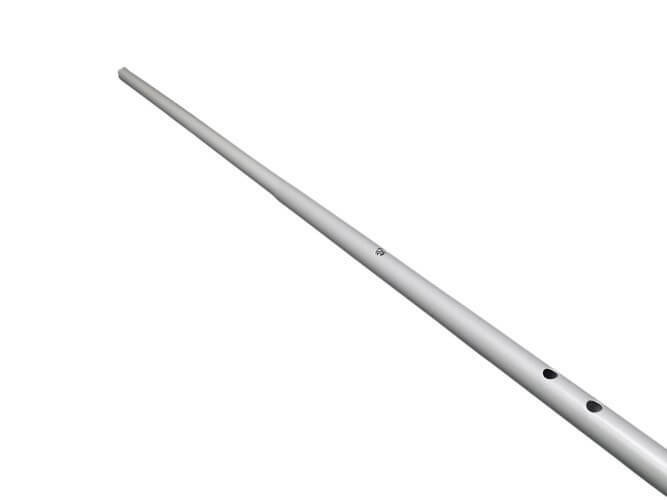 Aluminum pipe with metal hooks on each end for supreme durability (compared to plastic hook ends)! Supports a maximum of 15 pounds of weight. 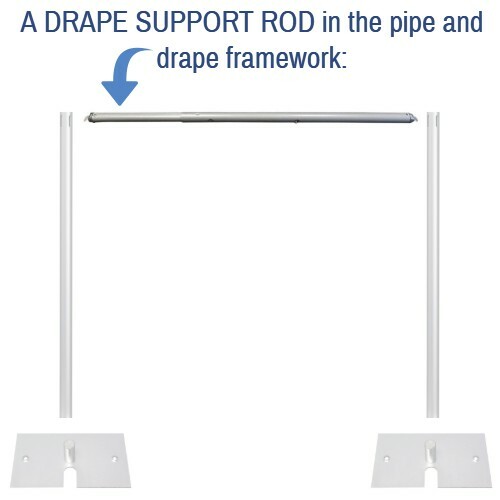 Quantity 1 = 1 drape support rod (crossbar) only. Uprights and other pipe sold separately. Thank you for your feedback, Bob! We certainly do not want you to think that we did not want to take you order. In our experience with taking orders over the phone, we found that there was far too great of a degree of miscommunication that could occur. Our manual order policy was changed a couple of years ago to an electronic document signing process, and it has helped order accuracy and the assurance of a correct address tremendously. The customer service representative that you spoke to on the phone was following this company policy, and we're sorry that it came across as an unwillingness to help with an order over the phone. We hope that this helped to clear things up, and of course, if you have any questions we're always happy to help. Thank you again for taking the time to write! Very good product and design. Couldn't ask for more. 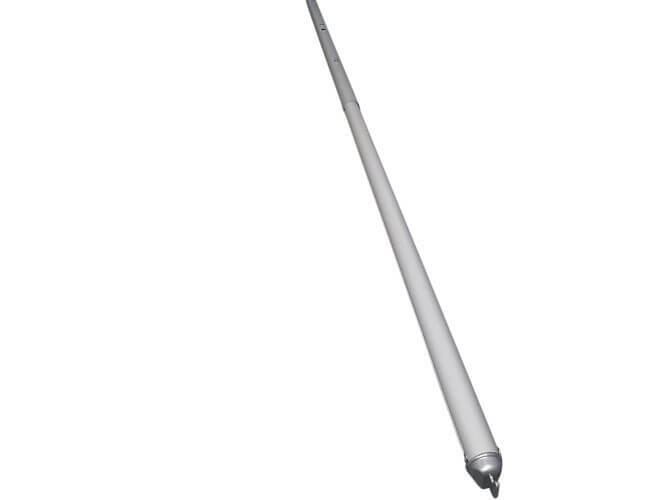 Q: What is the outside diameter of the 8-10 foot break-apart adjustable width support rod? (I'm going to be using existing curtains and need to be sure they'll fit). Q: I have a 15 foot wide booth. Can I use 2 break apart crossbar together to create one that is 15 long?